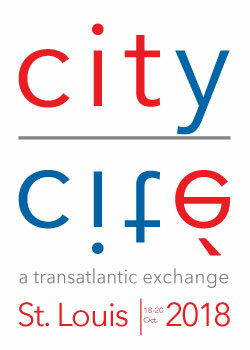 ST. LOUIS – Webster University’s Centre Francophone is set to host an exciting transnational fall conference entitled “City/Cité St. Louis: A Transatlantic Exchange on History, Culture, Politics and Democracy in the Changing City” on Oct. 18-20. City/Cité St. Louis is the fourth event in a series by the French association Métro-Univers-Cité and the Cultural Services of the French Embassy, launched in Chicago in 2015. City/Cité St. Louis will bring together influential French and American scholars, activists, performers, policymakers, and non-profit leaders in the Gateway City to engage in a public dialogue about immigration, diversity, inequality, and the future of the city. The objective is to create a multi-dimensional transatlantic exchange, while building bridges between cultural and academic institutions in France and cities in the Midwest. St. Louis has been transformed in recent years by economic decline, racial strife, increasing immigration, urban revitalization, and gentrification; making it the ideal setting for panel discussions and artistic performances. The three-day event is scheduled on three days in different locations throughout St. Louis. All panels and performances are free and open to the public. About the event: Beginning at 2:30 p.m. Thursday, Oct. 18 at the Missouri History Museum, there will be two panels discussing the challenges of urban history and memory, followed by a film screening. On Friday, Oct. 19, the second round of panels on social movements and policymaking in divided cities will take place on Webster University’s campus. On the evening of Oct.19, the Pulitzer Arts Foundation will host an exciting double performance of French Senegalese choreographer Amala Dianor and local poet Treasure Shields Redmond. On Saturday, Oct. 20, City/Cité St. Louis will conclude with a concert of Mouss and Hakim, a French band at the crossroads of Hip-Hop and traditional North African music, at Urb Arts in Old North St. Louis. 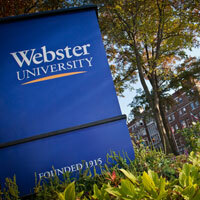 Webster University recently became part of the esteemed network of French Embassy Cultural Centers of Excellence. With this honor, a grant was made by the French government to further enhance the work of Webster University’s Centre Francophone. Lionel Cuillé, director of the Centre Francophone at Webster University, and the Jane and Bruce Robert Chair in French and Francophone Studies in Webster’s Dept. of International Languages and Cultures (ILC), has been preparing for months for this major conference about social and racial divisions in St. Louis, as seen from a Franco-American perspective. “Our purpose is to better understand the history of St. Louis and how, together, we can look for solutions to solve complex issues we face today in our city,” explained Cuillé. City/Cité St. Louis is organized by the Centre Francophone at Webster University, the Cultural Services of the France Embassy and Métro-Univers-Cité, in partnership with the Missouri History Museum, the Musée National de l’Histoire de l’Immigration, the Pulitzer Arts Foundation, the Saint Louis Art Museum, Tactikollectif , and Urb Arts, with additional support from the Centre d'Etudes et de Recherches Administratives, Politiques et Sociales (UMR-CNRS 8026) at Université de Lille, the Charles Warren Center at Harvard University, the Commissariat Général à l’Egalité des Territoires, New York University Collaborative on Global Urbanism, and Histoire et Dynamique des Espaces Anglophones (HDEA/EA 4086)) at Sorbonne Université. With its home campus in St. Louis, Missouri, USA, Webster University (www.webster.edu) comprises an action-oriented global network of faculty, staff, students and alumni who forge powerful bonds with each other and with their communities around the globe. Founded in 1915, Webster is a private non-profit university with more than 14,000 students studying at campus locations in North America, Europe, Asia and Africa and in a robust learning environment online. The university is committed to ensuring high-quality learning experiences that transform students for global citizenship and individual excellence.